This was a very successful flight of the Recovery Channel 1 mission with no loss of data due to clouds or other instrument issues. This low priority mission was chosen due to the poor weather present over higher priority target areas. The flight is a repeat of the identical 18 October 2012 flight and was last flown in 2014, its purpose is to obtain dh/dt measurements of Recovery Glacier. The mission is primarily designed along ICESat-1 ground tracks and also incorporates a crossing of the tributary channel entering the main Recovery channel from the west. Take-off today was slightly delayed to account for airport construction as well as a short maintenance test by the air crew, but these did not affect our survey time. The ATM Applanix system appeared to function normally this flight, in contrast to a still unknown issue which affected previous flights. Redundant systems are on board such that no problems have been caused by this yet, but a spare Applanix unit will soon be uploaded to minimize the likelihood of any further problems. 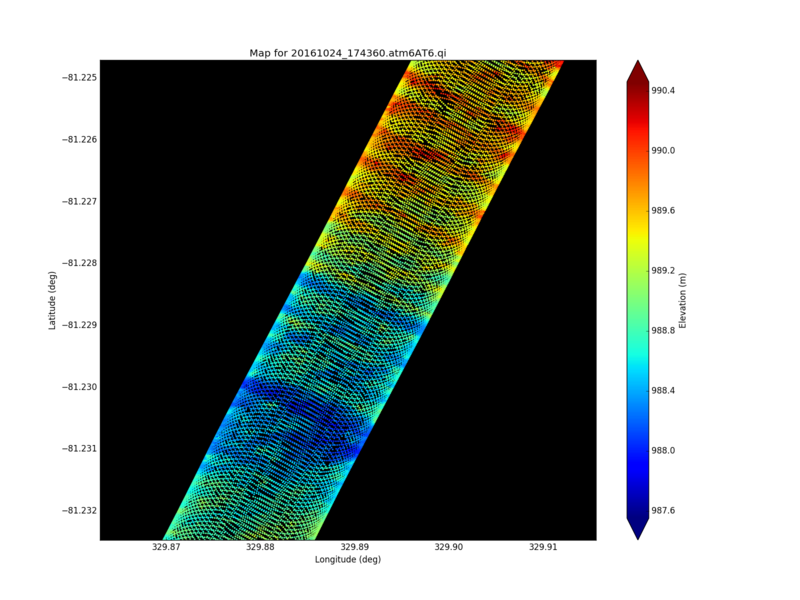 Lastly, a piggyback microwave radiometer instrument called MiniRad was flown on this mission and looked to have successfully collected about 1 Gb of data, the team will analyze this data to test operation of the instrument.